This was really good. I just made a yeasted pizza style dough with 1/2 whole wheat and 1/2 unbleached flour. 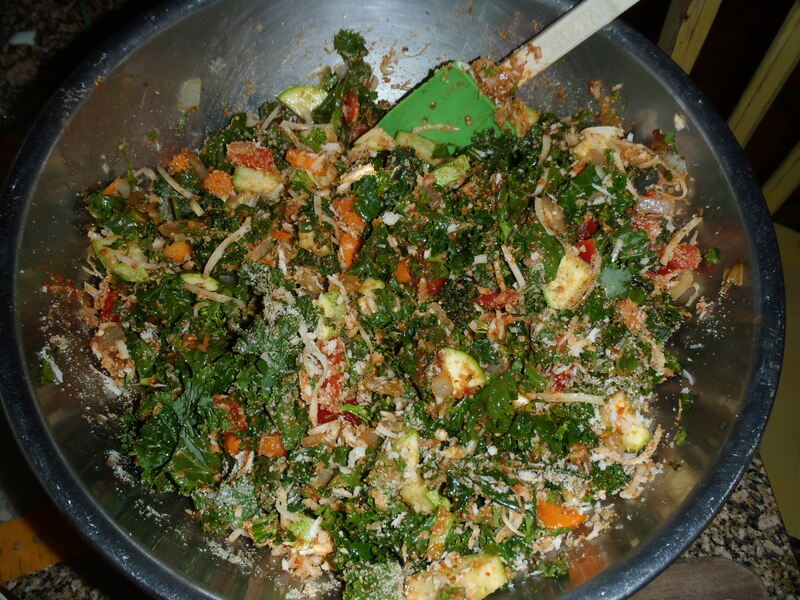 I used kale, chard, zucchini, leeks, onions, garlic, parsley, red pepper, carrots and whatever other vegis were in my garden. I chopped everything pretty small and stirred it up in a bowl with a little olive oil and some pizza sauce and mozzerrella cheese and a little parm. This is what it looked like all in the bowl. 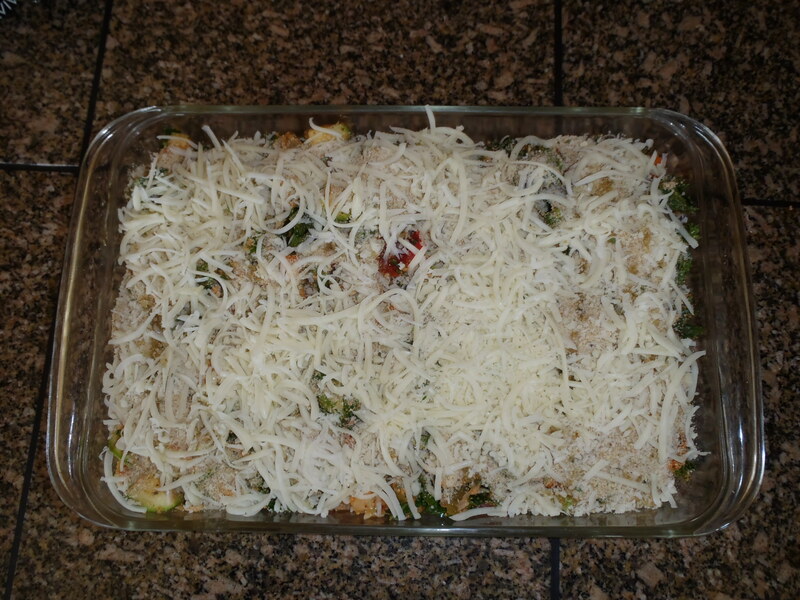 Then I put this into a 9X12 pan and topped with more cheese, panko and Italian bread crumbs. I baked it, covered, for about 30 minutes. Everyone really liked it. I had some of the vegetable mix left over and so I will be making them into calzones or empanadas tomorrow. This entry was posted in Food For The Good Life and tagged food, healthy food, vegetables, whole food. Bookmark the permalink. Oh, that’s funny. I started this post about calzones/empanadas that I made with the leftover filling for the casserole, so that’s why the pizza dough was mentioned, I mixed the two posts. I will post the calzone recipe now. I thought maybe that’s what happened, but I also thought maybe I just wasn’t reading it right. Looks yummy!